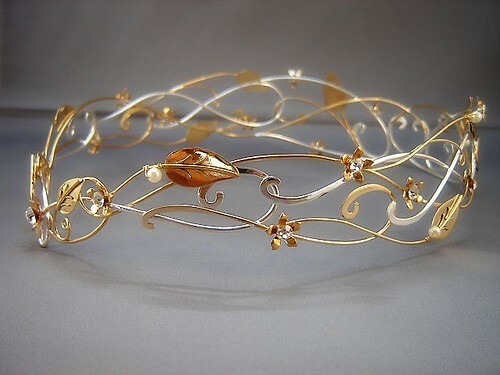 Custom wedding crown circlet, originally uploaded by medievalbridalfashions.com. This crown was custom created for a customer. It is based on the Shannon circlet with some modifications and additions. Small leaves and flowers have been worked into the design and the crown has a closed back. Sterling Silver and Brass, pearls and Swarovski crystals.